A joyful and festive design from the range of Newbridge collectibles. The silver plated base is coated with a protective anti-tarnish layer. 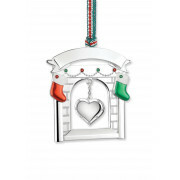 A three-dimensional gem-set heart charm hangs in the fireplace with heart christmas decoration and is framed by enamelled stockings. 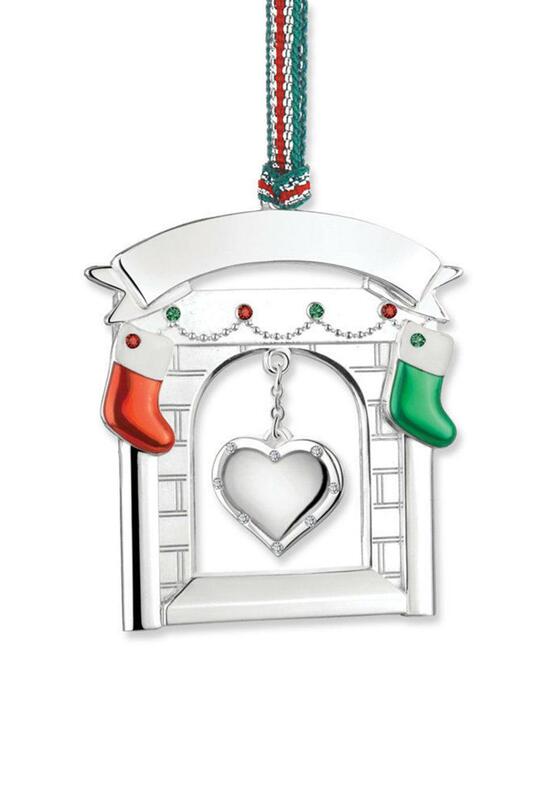 Complete with a festive ribbon, this piece is suitable for engraving and is sure to become a treasured keepsake. Presented in a Newbridge Christmas Collection pouch.